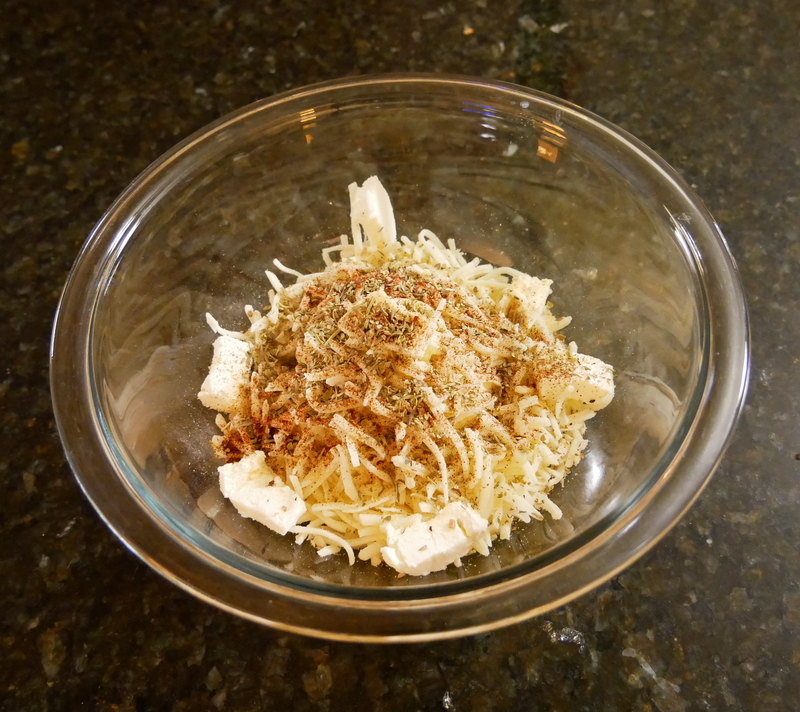 Add mozzarella cheese to microwave safe bowl, cube cream cheese and add to cheese. Add garlic powder, italian seasoning, salt and pepper to bowl and mix. Microwave for 1 minute, use spatula to fold mixture for 15 seconds, than microwave for another 30 seconds. Add almond flour and xantham gum and fold into the mixture. 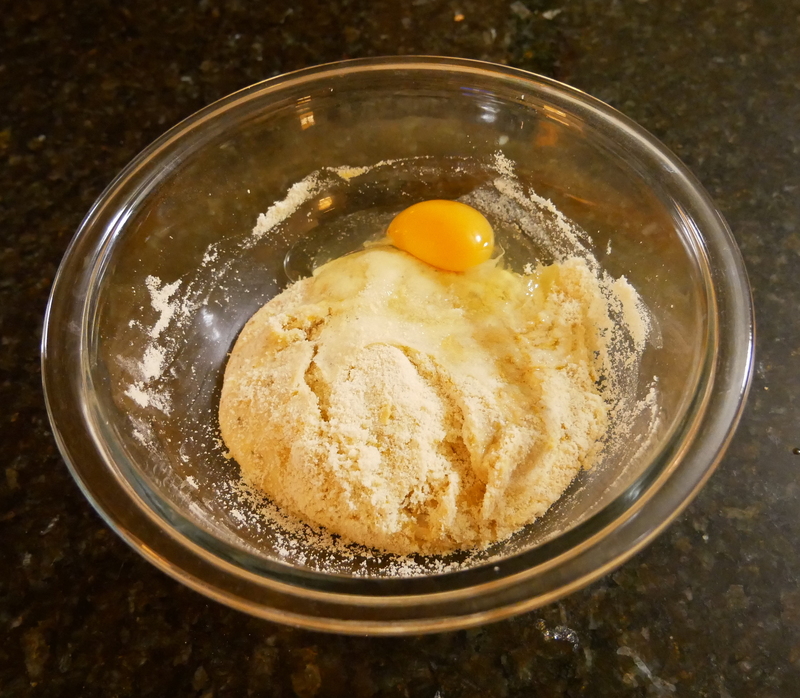 Add egg and fold into the mixture, continue folding until dough is formed and egg is no longer visible. Drop onto parchment paper about 16 inches long. 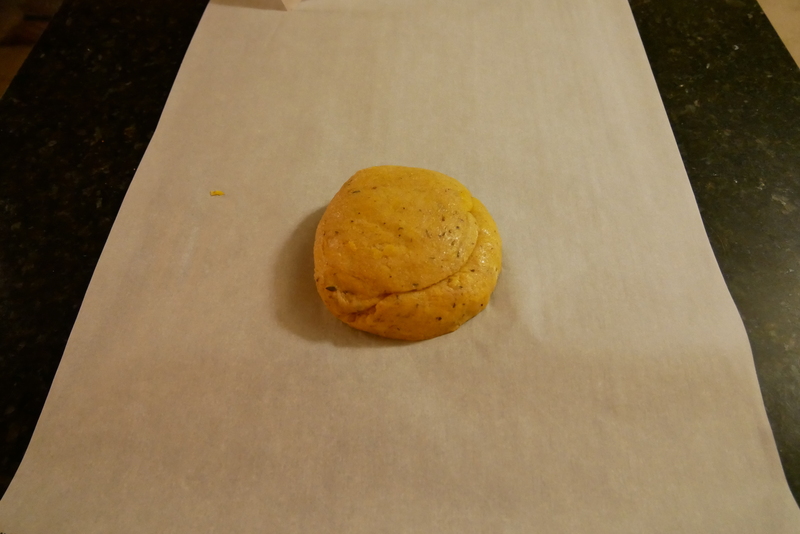 Press between second piece of parchment paper and use rolling pin to desired thickness, about 1/4 inch. 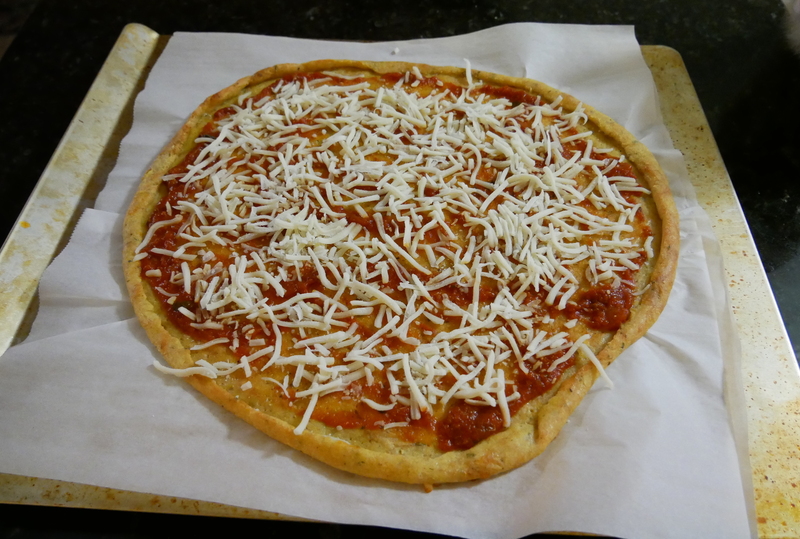 Remove top parchment paper and use fork to poke holes throughout entire dough. Fold edges of dough to form a half inch crust. Add to oven, remove when crust begins to become golden brown. 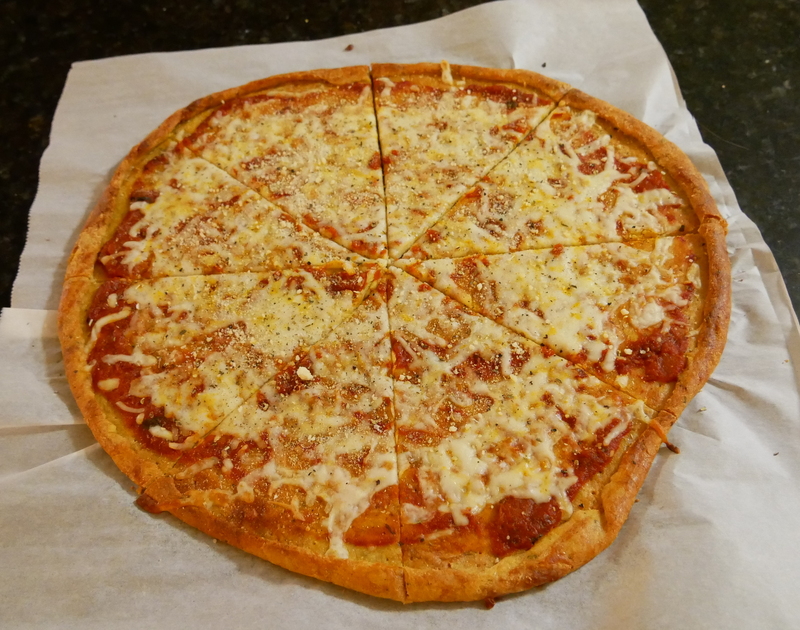 Add sauce and cheese to pizza and any additional toppings. Remove when cheese begins to bubble.